There's no doubt about it. Christmas is the best time of year to get your glam on and really make a statement with your outfit and of course, Topshop is the place to go to for that perfect party piece. They challenged me to style up this beautiful black t-bar dress for the Christmas party for their brand new on site dress hub, where you can see all of the latest dress trends styled up for the current season. The dress is exactly what I would have chosen for the festive season anyway. I'm a big fan of simple LBDs and styling them up with a few statement accessories to add a bit of evening glamour and this dress made it easy. LBDs are an absolute fail safe for this time of year and they never go out of style so you can count on this dress to see you the parties for many seasons to come. I love the loose fit - it's so flattering and made it look really classy with a bit of an on trend twist thanks to the t-bar cut out and slightly flared sleeves. It's Christmas party perfection. I chose to pair the dress with this faux fur coat of dreams and I'm in love. I've always had a bit of a soft spot for Topshop coats and I knew this one belonged in my wardrobe. I love a statement coat and this one suits my style perfectly with it's clashing colours, patterns and the contrast collar. I know I'm from the north and by reputation we're supposed to be able to go out wearing our short dresses and survive the cold but unfortunately I fail to meet that standard so need a stylish coat to go over the top of my going out outfit and this one is perfect. It's posh enough so that it adds to the look rather than dressing it down and it's thick enough to keep me from freezing to death during the night. Result! I knew I wanted a strappy shoe to go with the dress but didn't want it to be the plain ol' sandals we're so used to seeing. The fringe on this pair really make the shoe and add a little bit of a grungy feel to the otherwise glam outfit. Glam grunge is my absolute favourite look and Christmas is no different! The bag is a really beautiful deep green colour making it absolutely perfect for this time of year, adding a bit of a subtle clash. The coat has green notes in it so although it does clash a little bit, it does set the colours in the coat off, creating a really festive but on trend outfit for the party. Perfect! Remember to check out Topshop's Dress Hub to see some more of their beautiful party dresses! What will you be wearing for your Christmas party? 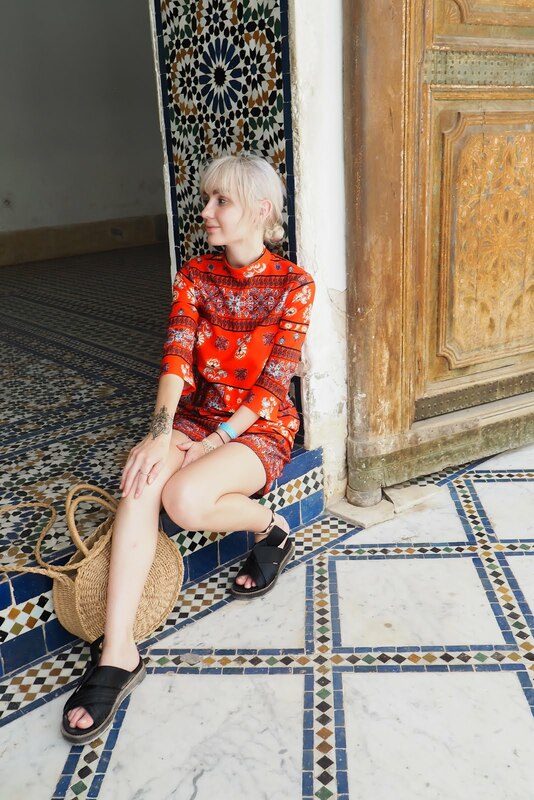 One of my favourite outfits on your blog! This looks like a perfect NYE outfit, the dress is stunning! oh my days you look AMAZING! i've fallen in love with that coat!! Fab dress! I'd imagine that this could be styled so many different ways too :-) I'm loving the coat too - It's amazing!! Looks so cosy & warm. This outfit is so party ready!!! This fur coat is stunning! I love every piece featured here! Not only is the black dress gorgeous, but that coat - wow! Seriously stunning! Oh, that coat! Want to buy it so bad. Although, the whole ensemble doesn't look warm enough for UK weather! Wow, Gorgeous. And the dress is amazing too. Such looking nice with the color combination of dress with the decent look.